It is so easy to act within the confines of our education. We practice what we learn, do as we are told, and become what "they" make of us. And when we can't keep up with the solutions, we reinvent the problem. 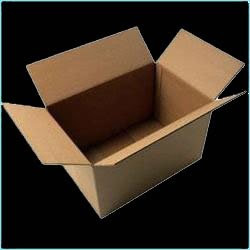 Here we are, outside the box, in search of answers, new perspectives, and the willingness to raise difficult questions. The Box is Open...what does it mean to be a school psychologist outside the box? Who knows anymore!?! I feel like the jack-of-all-trades and the master-of-none. I know who I want to be as a school psychologist but it doesn't match what everyone else either wants or expects of me. But does it even matter anymore who I want to be as a psychologist? I have guidelines and regulations that occupy my time...but sometimes, in the middle of it all, I find myself being that person who made a difference. I think we are on our way to the abolition of the "box". That is, the field has been enriched with novice practitioner and educators that are constantly reinventing the wheel in order to make effective changes in the field and the lives of the children and families that we serve... that the box no longer matters. To me the field will be what I make it. Although I am realistic in that there will be those who want and even need the box, I will advocate for what is right…I have learned my lesson! I have made too many concessions in my young carrier and watched children suffer because of the decisions made by practitioner who live inside the box! The field is ours! Goodbye box! As a student we learn how to follow directions, make deadlines, and complete assignments. We know that every class has a syllabus and as long as we follow the guidelines of what's expected we can attain an A. In the field of school psychology we have to throw away the 'syllabus', our safety net, and learn to act on our feet. We have to be cutting edge and almost two steps ahead of our school districts in order to complete what is expected of us. How do we keep up with the unexpected when we are trained to due what is expected of us? It appears to be a double edge sword. The box is a tool-shed where we have acquired tools from our educational background. It is a wealth of knowledge, resources, and time that we have invested in becoming a professional school psychologist. In this box, we find the blueprints for what is to be expected and the formulas we can apply to various scenarios. To think "outside the box" is to incorporate what we have learned with what we will learn in real life. It is the courage to step away from the box and know that we will be just fine because shelter and its proximity have morphed into wisdom, where we have gained the insight to use a wrench to screw in a nail and a hammer to make a hole because that's what's needed for a particular scenario and that it is ok to use our tools in more than just conventional ways. When we find ourselves out there in real life, we may cling to our box and be afraid to come out, but in time, a good school psychologist will open those doors and stand outside unencumbered by the tiny confines of our boxes and breathe in the air of real life and all it has to offer. We will have developed the courage to withstand the hail that may come our way and leave us clutching for protective gear and embrace the beautiful sunny days that may have us stripping off our clothes and daring something new. It is out there, outside the box, where life takes place and we welcome the challenges and the successes as a school psychologist or whatever role we’re placed into. I think that flexibility is the key word that comes to my mind when I think of a school psychologist being outside of the box. To me, this applies to treatment programs, academic modifications, and other more technical parts of the job, but more importantly to dealing with other people, which includes the students, parents, faculty and other members of the CST. It's important to be able to read people and adjust the manner in which you conduct yourself and deliver information so that others are receptive to it. It may sound like I'm saying to act fake to some but I think that it reflects social intelligence to be able to deliver the same message effectively in various ways. In knowing that everyone's different it only seems appropriate to be able to adapt to various personality types and age groups. I think that school psychologists who try to "standardize" their approach to interacting with others so as not to make themselves seem inconsistent only limit the population in which they are successful in dealing with. In response to the anonymous post, I was just having a conversation with my co-workers the other day and asking them do you think it's better/more gratifying being a jack of all trades or a master of one, such as professional athletes for example. Regardless of what we may have said at work, I never thought about it in the context of school psychology; however, this may be one example where being the jack of all trades with regards to all the facets of school psychology may actually make you the master school psychologist. This is more related to "the box" and not so much the field but I don't think its a matter of being inside or outside the box but a matter of what box your in. There will always be a box because "the box" is simply the norms of what you do or what society thinks is normal. But what one person thinks is normal another thinks is crazy. Then your simply in what that person views as the crazy persons box and vice versa. haha... I think realistically being "outside the box" is just being inside your own. in the changing educational climate, school psychs need to BE outside of the box. public education is notoriously oppressive - this is what you will do, when and how; you WILL do what is asked of you, etc. Things that I value such as creativity, free thought, and doing what it is right (and not easy) are not valued by all. There is a framework for which we all must abide (ethical guidelines, administrative code) but there are some who are so deep inside the box that they can not see the light. I am not typically one who lives "outside the box" but I do believe that I, as I'm sure others do, have my own box and hopefully others will jump in (or at least peek over the edge of the one they are in so they can see a different view). Perhaps what has intrigued me most...has been the thought or suggestion that it is relatively impossible to be "outside the box" rather I have substituted one for another. I beg to differ. Simply re-creating norms or acceptions does not constitute another boxed-mentality...but thinking that you are confined to boxes (if not the system's than your own self-made box) leads me to believe that so many of us are STILL stuck inside. As a school psychologist, is it better to be outside the box or to attempt to change the system from within the box? Both are difficult but it seems to me that the box is made of stainless steel so it may be a more imposing (and possibly rewarding)challenge to live inside it and try and break through it from the inside as opposed to living outside it. But being someone who is outside poses its own challenges. i agree with the last post. we need to attempt to change the system from the inside. our perceptions, goals, intentions, etc. can remain outside of a box, but i'm not sure if we can affect change from anywhere but within the system. j.